PRESCOTT – A man in his 30s is facing 14 charges, including two counts of armed robbery, after a harrowing case that started near Merrickville and ended near Johnstown. Provincial police say they were called about a car in the ditch on County Road 15 Friday around noon. The car later turned out to be stolen from Ottawa. 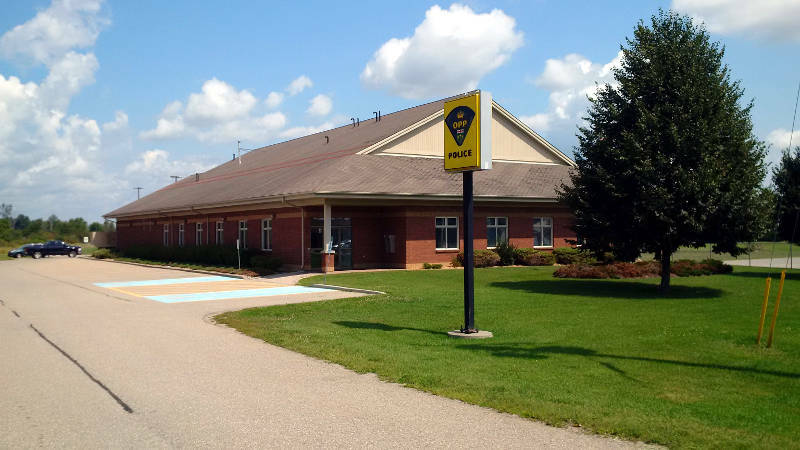 Before police got there, a Good Samaritan had stopped to help but ended up being threatening by the suspect, who was using an “edged weapon.” He was then forced to drive the suspect to Kemptville. The Good Samaritan was released without injury, police said, but his truck was stolen. Shortly after, there was a police chase that had to be called off for safety reasons. Less than an hour later, a gas station in Spencerville was held up – the suspect allegedly using the weapon again – where booze and cigarettes were stolen. The whole crime spree ended on Rooney Road in Edwardsburgh-Cardinal when the suspect’s car crashed and he was arrested by Grenville County O.P.P. A 32-year-old man of no fixed address is charged with dangerous driving, flight from police, impaired driving, uttering threats, forcible confinement, theft, armed robbery, possession of stolen property, mischief, failing to comply with a probation order and breach of recognizance. He was held for a bail hearing in a Brockville court.